Precision Landscaping and Lawn Services, Inc. is a full-service company providing residential and commercial design, installation, and maintenance in the Triad area, Statesville, Lake Norman, and Hickory. 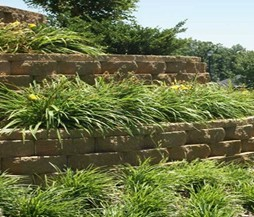 We are a fully licensed and insured company and have been part of the North Carolina landscape industry since 1986. We specialize in homeowners associationsa�? lawn and landscape maintenance, commercial and residential landscape needs.